Former child psychologist, Dr. Anna Fox, has become a recluse - shut away in her own home - a victim of agoraphobia. Too afraid to step outdoors, she watches the world pass by from the windows of her upmarket New York home. Separated from husband Ed and daughter Olivia, she fills her days with booze, pills, online chess and a chat forum for agoraphobics. When the Russells move into an empty house opposite, Anna's interest is piqued. She secretly watches through the zoom lens of her camera. One evening a frantic scream shatters the silence and Anna sees something she wasn't meant to see in the Russell's house... something terrifying, something she's helpless to prevent. 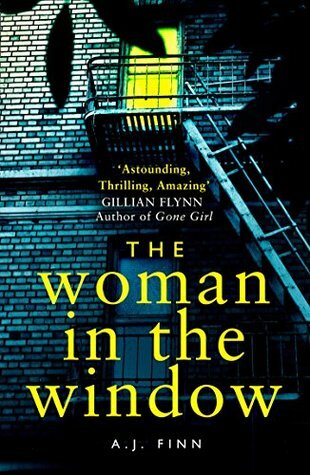 Oh my, I really enjoyed this debut psychological thriller from A. J. Finn. It was brimming with suspense and intensity. I didn't know what was real and what was imagined. More importantly, it kept me guessing right until the end. It was one of those books you have to keep reading until you know how it finishes. It was addictive and completely absorbing. Anna's dysfunctional lifestyle was excellently portrayed and although the book had only a handful of characters, each was developed to just the right degree with no unnecessary 'padding'. An abundance of fantastic twists and turns kept me on my toes; ok, so some the reader will figure out but others are cleverly concealed. And that ending, WOW! 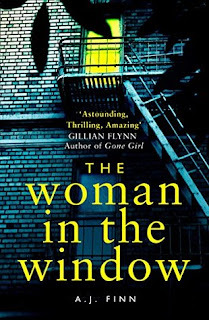 Anyone reading this book will naturally associate it with Hitchcock's classic 1950's movie Rear Window. James Stewart, recovering from a broken leg, spies on a neighbour through his apartment window and suspects him of murdering his wife. But there the comparison ends. Read it and discover for yourself. Or wait until the movie - yes, apparently there's a movie currently in production. Me? I'm just pleased I had the opportunity to read such a fantastic novel. I received an Advance Reader Copy of this book.